Yemao Man is a Doctoral student within the division Maritime Human Factors and Navigation. 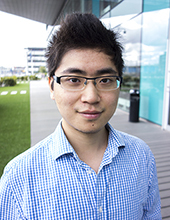 His research at Chalmers will primarily focus on human machine interaction design for shipboard and shore based information systems concerning human factors in the maritime domain. Prior to joining Chalmers, Yemao earned a Double Master’s degree specializing in Computer Science from Uppsala University and Software Engineering in Tongji University in China. Seeking harmony in shore-based unmanned ship handling – From the perspective of human factors, what is the difference we need to focus on from being onboard to onshore? There might be more projects where Yemao Man participates, but you have to be logged in as a Chalmers employee to see them.